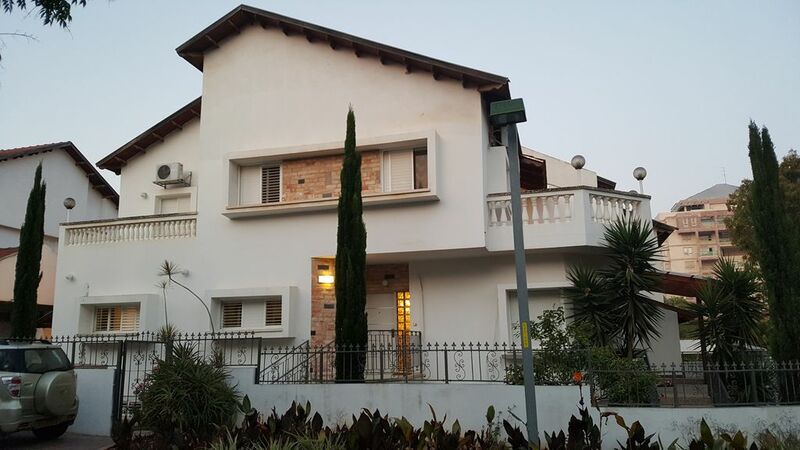 The holiday house is in Rehovot. It is the center of Israel very close to Weizmann Institute of science. It is also close to the sea in Ashkelon and to the Kaplan and Assaf Harophe medical centers. We invite you to visit our beautiful home. The room is fully furnished and the apartment is equipped with kitchen and washing machine and you can stay long period of time per your need. We offer short stays of 1 night or long stays as well. We have a small swimming pool for children as well as barbecue facilities and also ping pong table. We also close by to the city center attractions and to Weizmann Institute. The house is located in a very quite neighborhood and has a private under roof parking as well. Check in time 17:30 checkout 10 am. Check in and check out time can be adjusted per your needs. Please speak with us ahead of. time. We will provide you an official receipt upon your stay.